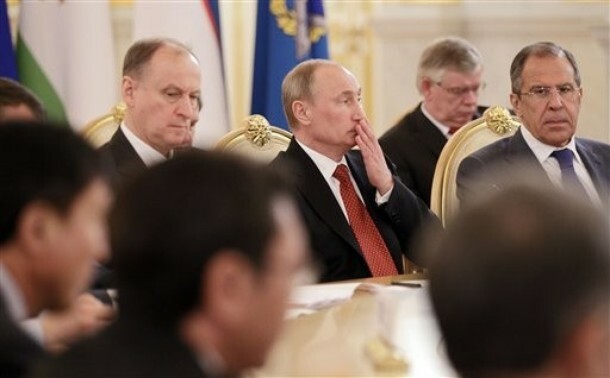 Russian Prime Minister Vladimir Putin’s administration is trying to get a leg up on development of the Northern Sea Route. Earlier this week, Secretary of the Security Council Nikolai Patrushev stated to RIA Novosti that the amount of state supervision and control over the Northern Sea Route was “not acceptable,” especially in the eastern part. Most of the resources put into the route’s infrastructure are funneled into the Murmansk-Dudinka-Krasnoyarsk transport corridors. Murmansk is the largest city in the Arctic, in the far west of Russia, while Dudinka is a port on the Yenisey River. Krasnoyarsk lies far inland, on the Lena River. While this investment takes place, Patrushev admitted, “At the same time, regular shipping in the eastern sector of the Northern Sea Route is practically not carried out. This situation can not be recognized as normal.” The eastern sector needs more government oversight, regulation, and meteorological information to bring it up to speed. This is not a new story in Russia; development east of the Urals has always lagged behind areas of Russia closer to Moscow. Lately, however, the government has been seeking new and more diversified sources of cash flows into its treasuries, and Arctic natural resources could be one such source. Nickel, gold, and diamonds represent just a handful of the commodities found in inland Siberia, many of which are most easily exported by being shipped up one of the region’s three main rivers and out onto the Northern Sea Route. To then ship these resources east to Asia, the Kremlin has no choice but to eventually develop infrastructure in the eastern sector. As Patrushev said, “Problems of improving transport infrastructure, including water transport in the area today, are of strategic importance for national security.” The Northern Sea Route is not just a national security issue because American submarines and foreign shipping trawlers could be traipsing through without permission. The NSR is also important for intra-Russian shipment, for many of the communities in Russia’s northeast rely on the route to obtain deliveries, much as isolated villages in Canada’s Arctic depend on ice roads to receive their goods. On top of that, international shipping along the NSR is posed to explode in the coming decades. If the Kremlin wants to draw a profit — and healthy revenues in Putin’s early years as prime minister helped cement his rule — it needs to maintain a firm grasp over the NSR. That means intermodal connections, cranes, search and rescue capabilities, weather satellites, and all of the other pieces integral to marine transport will need to be in shipshape form. These are the types of bases that will permit strong search and rescue capabilities (unlike the current situation in Alaska and Canada, for instance). Of course, Russia will need a first-class navy and coast guard to staff these bases and maintain control over the shipping lane, which I will discuss more in my next post.